TV and dining table for your enjoyment. Gorgeous shower and tasteful finishes in bathroom. 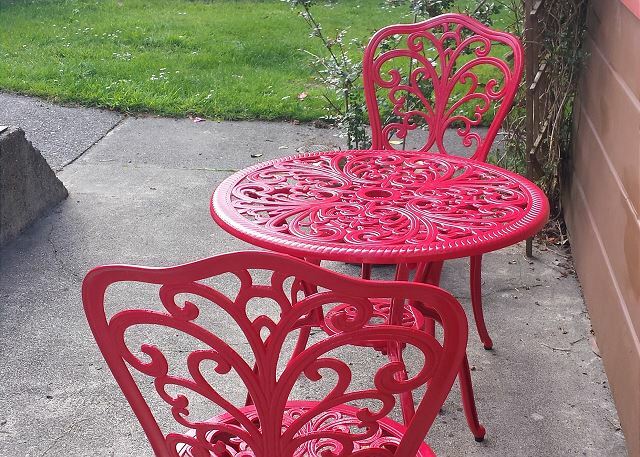 Bistro style table and chair to enjoy the yard and fresh air! Large dresser for personal effects. Plenty of room for two! Beautiful yard for guests to enjoy, deer abound! Pristine Arcata Studio in Quiet Neighborhood. This studio is completely new, nicely decorated, with a great, comfortable bed, full bath with a nice, large shower,, mini-fridge, and off street parking. Come and enjoy! Walk, bike or drive to downtown Arcata, Humboldt State University, and the local Redwood Park. Centrally located for drives to beaches,parks, shopping, cafes, and, of course, the Redwood National Park @ Prairie Creek. Short walk to cafes, restaurants & shopping as well. Pristine is pet friendly to dogs, 15lbs and under only! Geographic In Town, Close to Humboldt State Univ. Great location, easy access to everything. Small, but very comfortable! So happy to hear you enjoyed your stay at Pristine Studio. What a great spot to relax after a day of exploring the North Coast, it has everything you need to feel comfortable and well rested. Please look us up at Redwood Coast Vacation Rentals when planning your next trip to the North Coast, with over 120+ properties. there's something for everyone! We enjoyed staying here. Much quieter than a hotel. Didn't have to search for parking because it has an assigned spot. No waiting for an elevator or to check in. The bed and other furniture was very comfortable. So happy to hear you enjoyed the Pristine Studio! And it has that gorgeous yard with a beautiful garden, something most hotels do not offer, not in this area! Please come back and stay with us again, we'd love to have you back again, and look us up at Redwood Vacation Rentals if looking for something a little larger, if travelling with more guests, with over 120 properties, we really do have something for everyone! It was a cozy little cabin very nice neighborhood. Thanks so much for taking a moment to leave a review of Pristine Arcata Studio. We appreciate feedback. Please come back soon and look us up at Redwood Coast Vacation Rentals when planning your next trip to the North Coast! Nice neighbors also. Great alternative to a soulless hotel room. Clean, affordable and pet friendly! Please come back and visit us again soon, we love reviews, and appreciate you taking time to write one. Thanks again! We actually had a lovely time. The Studio was clean and comfortable. The only complaint I have, was that the neighbor was very quick to complain to the management about our dog. She was afraid he would chase her cats.The manager was very kind when he called us. We try and make every interaction kind, and this property does have cats that wander, which is why as a general rule, we ask of our guests to have their dogs on leash at all the pet friendly homes that share a yard, or have no fenced in area, for the safety of the dogs and others. Thank you for being so understanding! We would love to have you come visit us again, at this property, or another, at Redwood Coast Vacation Rentals, we have over 100+ homes to choose from! Thanks again for the review of Pristine Studio. The accommodations were perfect. The room was clean, the bed comfortable, instructions for the wifi were easy to find. Plenty of towels and bottled water for the coffee maker. The stay was perfect. Thank you. Wonderful! Thanks so much for leaving a review of Pristine Studio, we appreciate your feedback. Sounds like you found a good fit for your stay, and we look forward to having you back soon to Pristine Studio. Thanks again for leaving a review, please look us up at Redwood Coast Vacation Rentals when planning your next trip to the North Coast! The room was welcoming, cozy and clean. We did get one big spider who was suspended from the bathroom ceiling. Yard and patio very inviting but we were busy. Great location, easy to get anywhere. A real bonus was the free drink at the Humboldt Bay Social Club in Samoa! Fun place! Thank you for taking a moment to leave a review of Pristine! We would love to have you back soon, so please look us up at Redwood Coast Vacation Rentals when planning your next stay on the North Coast. Sorry to hear about the spider, with all the beautiful plants outside the windows in the garden, sometimes they get inside. Hope to see you soon! Thanks Jennifer, the owners live on site and are very friendly, but also keep to themselves. They tend the beautiful garden! Thanks for taking a moment to leave a review! We had a great stay! It was quiet and comfortable. I love the sunnybrae area. It’s close to Murphy’s market and my favorite coffee shop! I used to live just down the street so it was a perfect location! Not far from the square and easy access to the freeway. 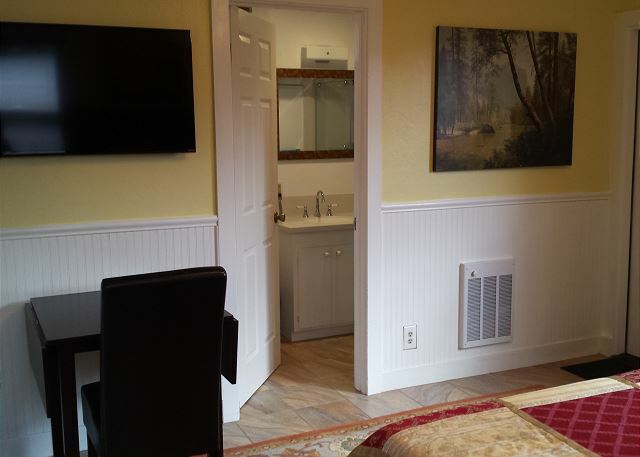 Pristine Arcata Studio is the perfect, clean, affordable alternative to a hotel, folks just love it. We look forward to your return. First off, I'm in upper level management with a major national Vacation Rental company based in Portland, OR. I like staying at competitors' VRs when I travel to see how we compare. My experience with the both "Pristine Arcata Studio" and with the management company "Redwood Coast Vacation Rentals" was impressive. The ONLY complaint would have been the unwashed coffee cups in the room. Other than that, this was probably the best experience I've had, both staying at homes my company manages and our competition. I'm serious. The bed was THE MOST COMFORTABLE bed I've ever stayed in. 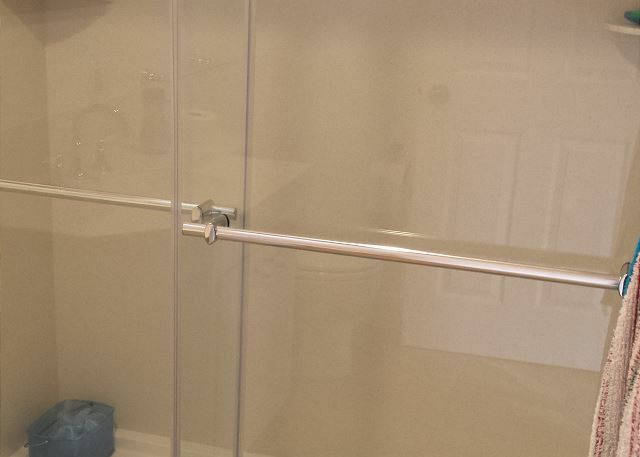 For a studio, the shower was spacious and easy to bathe both myself and my infant son at the same time. It was very, very clean all the way around. The furnishings were excellent. Tons of closet and drawer space for 3 people, a great television, plenty of parking, and upon bumping into the owners, it was great to learn how easy-going and accommodating they were as well. When my wife and I got home, she told me that she's left her pillow at the hotel. Figuring we'd never see it again, we still called. They shipped it back to us in two days! Amazing service. I'd highly recommend both this unit and Redwood Coast VRs to anyone! Well gee, thanks! We really appreciate you taking the time to give us this great review, especially from a an industry critic, wow! We do our best to accommodate and look forward accommodating you in the future. There was a drainage problem in the bathroom on our last day, but that can be fixed. 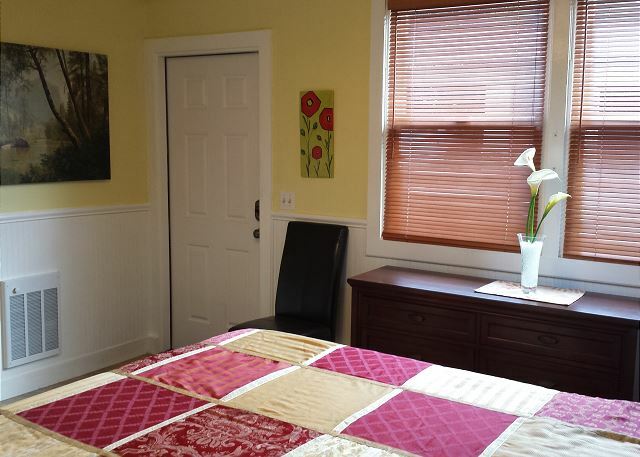 It is a good place to stay while visiting Arcata and the surrounding area. Thanks Jenifer for leaving a review of Pristine Studio! We were able to fix the drainage problem, so thanks for letting us know! Feedback is invaluable to us, so we know where to improve, and fix what we can fix. We hope to have you back again soon to Pristine Studio, please look us up at Redwood Coast Vacation Rentals when booking your next trip to the North Coast. With 100+ properties, there's something for everyone! We thoroughly enjoyed our 3 day stay. It seems like the studio was remodeled recently with high end materials. New bathroom, new floors, windows, etc. Parking was easy and the setting offered enough privacy for out liking. We will stay here again. So glad to hear that Robert! We look forward to having you back again! Please visit Redwood Coast Vacation Rentals when planning your next stay, and thanks again for taking the time to leave a review! The property was exactly as described. Very clean and quiet, in a nice neighborhood. Owners are super friendly. 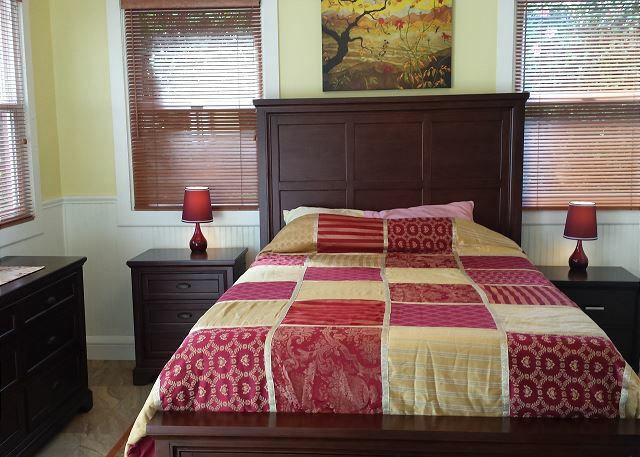 The location provides easy access to Hwy 101 and to downtown Arcata and Arcata Marsh. Grocery store, coffee, and restaurants within a quarter mile. We've already booked it for November! So glad to hear you'll be returning to Pristine! It's such a cozy space while providing all anyone could need. The owners really are so nice, I look forward to seeing them whenever I drop by. It's very conveniently located, and also has a huge yard for sitting and enjoying a cup of coffee that is provided by the owners. I've seen deer in the yard on occasion! Thanks again Susan for taking the time to leave such a nice review! I had a fantastic stay in Arcata! And the pristine studio was exactly as promised. The hosts were great, just enough interaction to make my stay more comfortable. And the price was right. Would stay here again. So glad to hear you loved Pristine Arcata Studio. We appreciate you coming to stay with us! We look forward to your return to Pristine with Redwood Coast Vacation Rentals, a 100+ accommodation company. Overall, our stay was nice. We were a little bit misled by the information on the web site, but we know what to expect next time. First off, the web site gave us the wrong address so we ended up entering some strangers house (it was very dark that night). That was a tad embarrassing! Also, the site said there was a fully functional kitchen, but all that we had was a small refrigerator and a one cup coffee maker. Possibly, the web site information was for some of the other properties? But once we got situated, everything was nice and very clean. We would certainly stay here again, now that we know what to expect and exactly where it is located. Thank you so much for taking the time to write this review. We appreciate all guests feed back as we are always trying to improve. We are so glad you enjoyed Pristine! We look forward to your return. I loved staying at Pristine Arcata! It is very peaceful and beautiful at the property. The unit is very nice and welcoming. The bed is seriously the BEST BED I have ever slept on. I kid you not! I also loved the big shower. I am so glad I found it!! 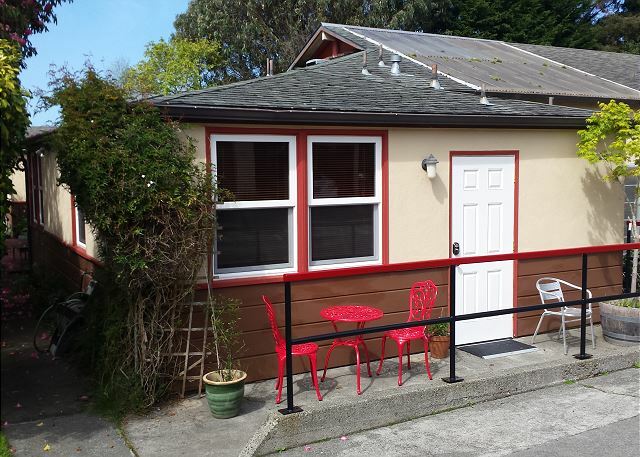 The location is very convenient to Arcata and only a short drive to Eureka or other places in the surrounding area. I LOVE IT! We enjoyed our three night stay at the Pristine Studio. The location in the Sunny Brae neighborhood of Arcata was convenient with just a short drive or a long walk to get to downtown Arcata. A smaller neighborhood business district with a coffeehouse ("Coffeebreak"), a market (Murphy's) and some other businesses is a walk or very short drive from the rental. The accommodation was very quiet and comfortable, and very clean. Be aware that other than a large studio fridge, there are no cooking facilities here. The room was clean and a very comfortable bed. Amenities were nice. Everything we need for a two night stay. Perfect place to rest your head! This property was easy to find, super clean, and perfect for our two nights in the area. There is a mini fridge which helps a lot since the town closes down quite early, and the wifi was much appreciated. We would definitely stay here again!